Hot off the heels of a successful Rennsport Reunion last month, RM Sotheby’s teamed up with Porsche for a one-marquee sale celebrating the 70th anniversary of Porsche sports cars. Hosted at Atlanta’s Porsche Experience Center, every era of Porsche was well-represented, raising a total of $25.8 million when the gavel fell for the final time. Here are six of our favorites from this weekend’s past sale. It’s nice to see Porsche fully embracing its extensive rallying history. 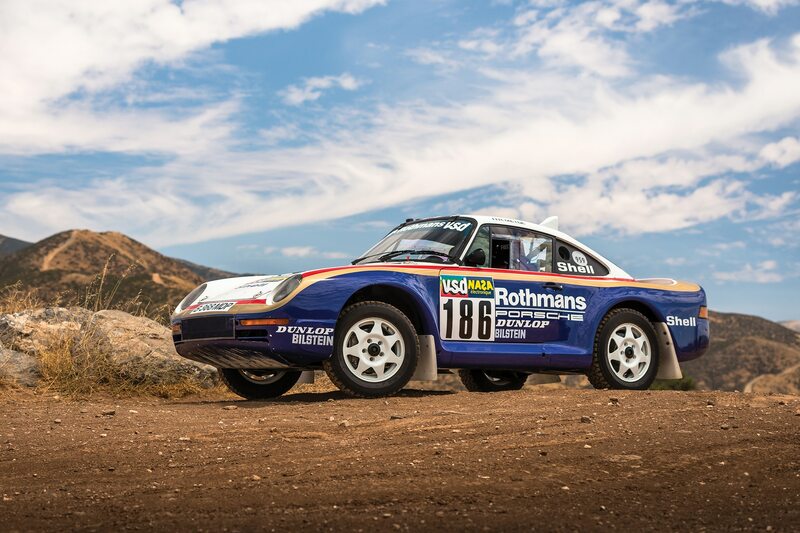 With safari-style 911s emerging as the new popular outlaw variant, now’s the perfect time to promote its success at the Paris-Dakar rally in the mid-1980s. 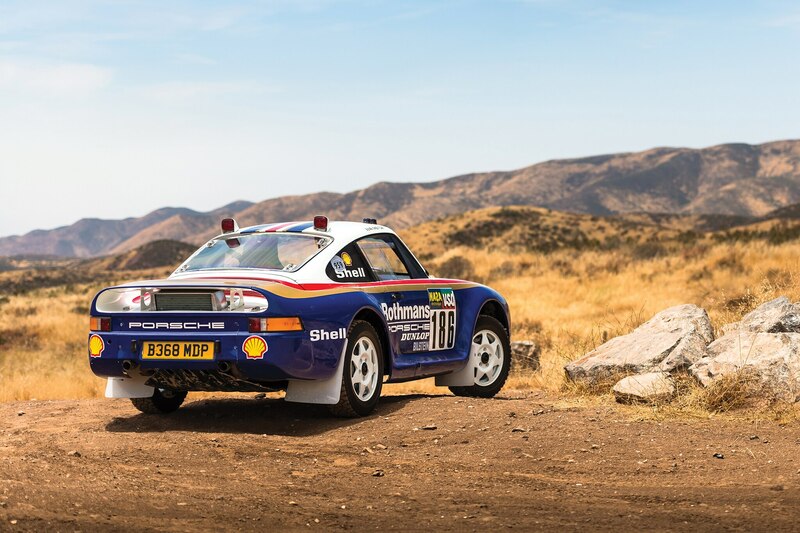 After Porsche determined Group B wasn’t worth investing time, effort, and money into, it ran a squad of rally-ready 959s in the infamous Paris—Dakar off-road sprint, resulting in a 1-2 finish in 1986. This particular 959 ran in the 1985 Paris—Dakar race, where it retired early due to a mechanical issue. It’s one of only seven rally 959s, and one of only two in private ownership. This was an extremely rare chance to pick up a motorsports legend, so bidding was heated, resulting in a final sale price of $5,945,000. 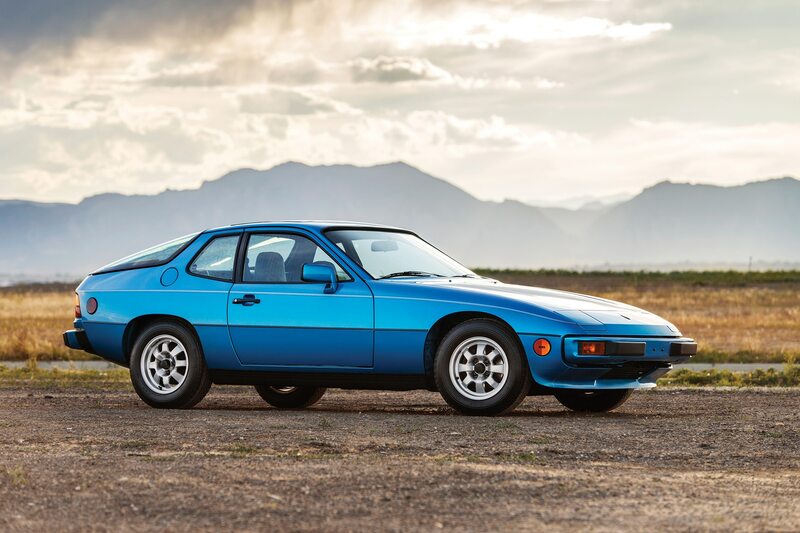 There were oodles of cooler, rarer, faster, and more expensive Porsches at this sale, but this blue 924 still caught our eye. The 924 is likely the least desirable model family from the automaker’s 70 year history, but finding a survivor in such original condition is noteworthy. There’s only 11,000 miles on the clock, retaining its original tires and a highly detailed service logbook, leading to a very strong final sale price of $53,760. 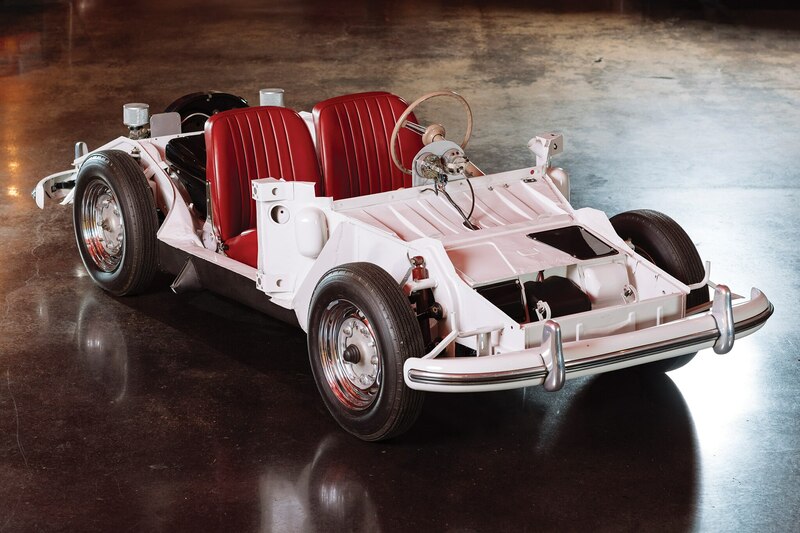 Created for use by mechanics at New York’s Hoffman Motors, this training chassis is one of the coolest bits of rolling garage art we’ve ever seen. This was a training dummy, so each side of the chassis incorporates a different suspension setup, allowing practice for earlier and later suspension types. Again, far from the most exciting car on the docket, but one of the more interesting models from Porsche’s history. 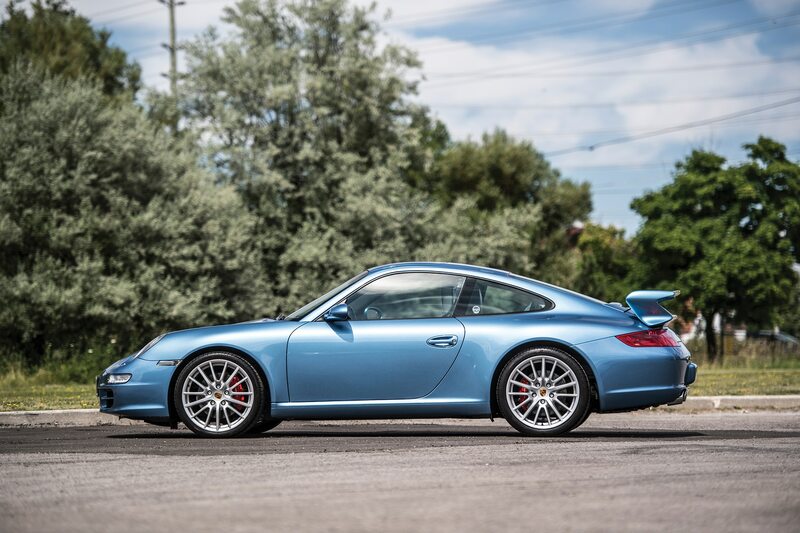 The automaker has long remained a supporter of the massive Porsche Club of America, and periodically offers a small run of special edition cars to members, usually commemorating an anniversary. The 2006 Club Coupe was in honor of the PCA’s 50th anniversary. As such, 50 of these coupes were sold, each coated in special Azurro California blue paint reminiscent of the Porsche 356’s Azure Blue paint option. In addition to that sizeable rear wing, each Club Coupe also arrived with the sought-after X51 Power Kit, boosting power from 355 hp to 381 hp. It doesn’t look much like a 2018 911 Turbo, does it? This is the result of much toil and trouble from Porsche Classic, who managed to get its white-gloved hands on an unused 993 Turbo body shell. Then, using brand new components from the Porsche Classic catalogue, the body was filled from the rails up, resulting in an absolutely factory fresh 993 Turbo, straight from the source. The only problem is, since this never-used body receives a 2018 model-year VIN, there’s no way for Project Gold to meet current safety and emissions regulations. As such, the car is offered on bill of sale only, and use on public roads is strictly verboten. Some might question the purpose of such an exercise, but considering the current state of the Porsche market and that this is the only 993 Turbo of its kind, a final sale price of $3,415,000 makes sense. Plus, most of that goes to charity, so everyone wins here. 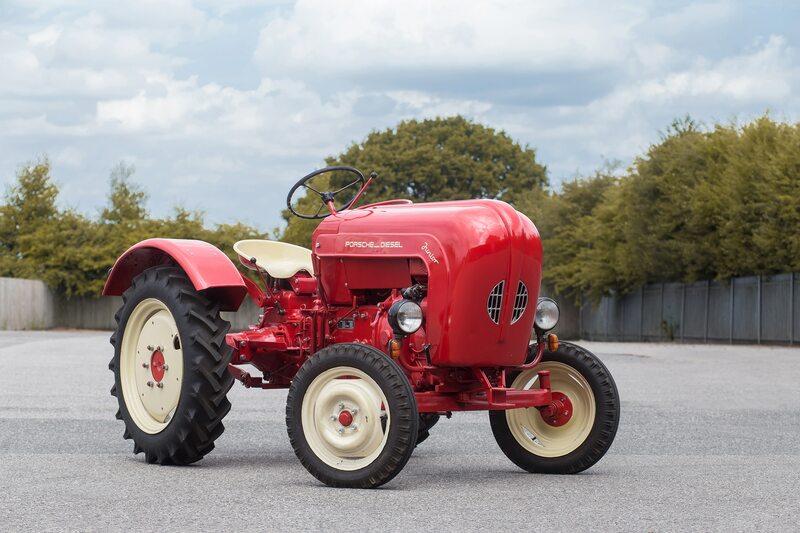 Inspired by the low-speed thrills of Rennsport Reunion VI’s tractor races, this Diesel Junior was a shoo-in for the list. While popular overseas with 125,000 produced over an eleven-year period, not many of these made it Stateside. Nowadays, it’s a popular toy for a well-established Porsche collection.